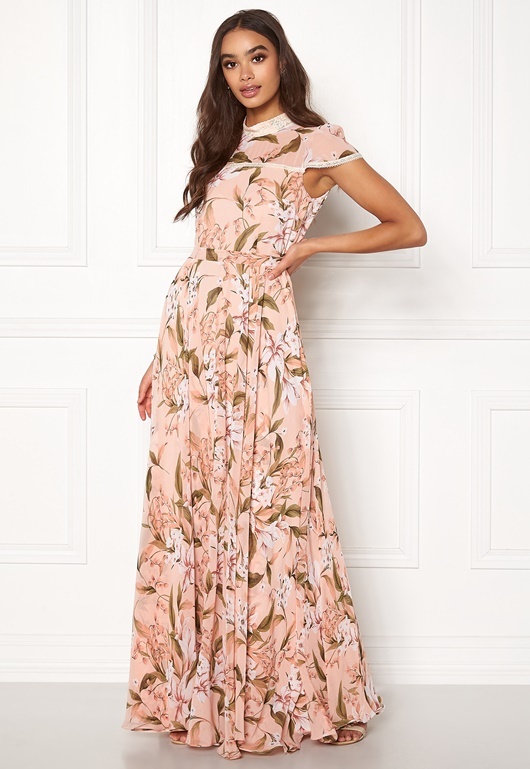 Beautiful maxi dress with a floral pattern from IDA SJÖSTEDT. 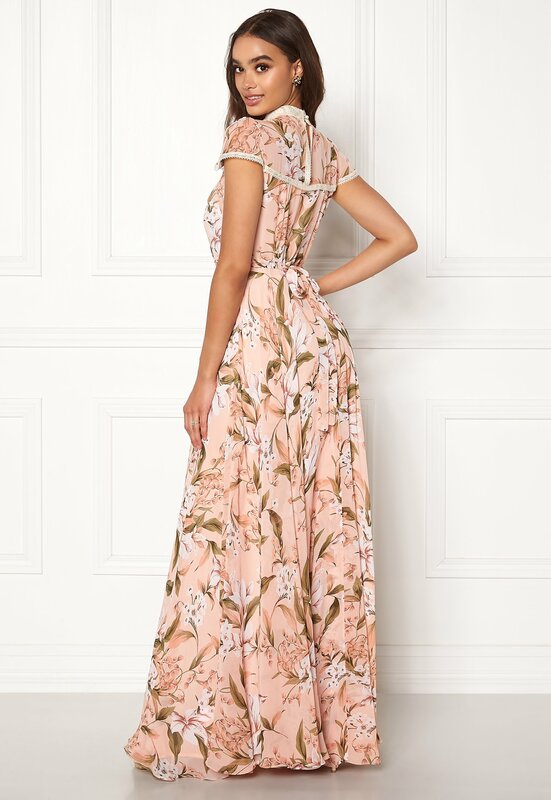 The dress has a tie waist that creates a lovely fall, perfect for festive occasions. - Nonstretch, woven quality - Higher, round neckline - Tie waist (detachable) - Buttoned opening at back - Concealed side zipper - Lovely lacy details - Lined Back length from shoulder 159 cm in size 36. The model is 175 cm tall and wears a size 36. Dry clean only.